This (paraphrased) line from Robert Burns 1785 work “The Mouse” is already familiar to many thanks to John Steinbeck’s famous novel. But its sentiment hits particularly close to home for anthropology’s Sarah Mahoney. Prior to her UCI career, Mahoney was an especially active Orange County community college student. She surfed and hiked, she played several instruments including the guitar and violin, and she had been accepted to a prestigious university where she intended to major in music. She had it all planned out. But a couple months before she was set to transfer to her new school, she woke up to a different world. An unknown neuromuscular illness appeared – seemingly overnight – and left her unable to move. In just a matter of hours, her whole life changed. The road following that day was a long and difficult one, but over time Mahoney’s health improved enough that she was able to enroll at UCI last year ­– albeit with a slight change in major. She’s now strong enough to get around with the help of a wheelchair and, though she still doesn’t have all the answers when it comes to what made her sick, she has found a sense of liberation. She’s doing what she wants, studying things that are fun for her, and going where she wants to go without spending much time worrying about the future. She’s done with planning far ahead, because she knows first-hand how those plans can change in an instant. In true Anteater fashion, she’s just focused on not letting anything get in her way. Before her illness, Mahoney was an active 20-something who could never have imagined spending nearly three years struggling to get out of bed. So finding herself so weak that she unable to walk, or even eat on her own, was a huge shock. Doctors couldn’t tell her what was wrong, and for a while it just got worse – to the point that she could barely speak and had trouble breathing. It was, by her own account, one of the toughest periods in her life, not made any easier by the fact that she didn’t have the strength to pick up her beloved instruments. But despite being so weak, she didn’t stay idle. Mahoney spent years searching for a diagnosis and cure, traveling around the world for tests and treatments. She took medical leave from her university in the Bay Area, and for three years focused on her health. When her insurance refused to pay for physical therapy, she set up a crowd funding campaign that raised more than $10,000, and when she felt like she needed a mental workout, she edited her friends’ college essays for them. When she got stronger, she even started sitting in on a friend’s anthropology classes at UCI, just out of curiosity. As time went on, her condition gradually improved. First with being able to feed herself, eventually sitting up on her own, and then getting around with a wheelchair. She considered trying to go back to her school up north several times, but was waiting to get stronger. Then, while visiting a specialist in Japan, she got a prognosis that made her shift gears. It wasn’t easy to hear, and Mahoney can’t say that the news that she would probably never walk again didn’t affect her – she says she was “super down for a little while.” But instead of letting it debilitate her, she chose to use it as motivation to push forward. In her mind, if she wasn’t waiting for her health to improve any more, then she needed to figure out how to thrive in the circumstances she was in. After officially withdrawing from her school in San Francisco, Mahoney had to choose where she would go instead. With UCI being so close to home and her team of doctors – paired with her positive experience sitting in on anthropology courses – she was confident that it would be a good fit for her. She also made the difficult choice to forgo majoring in music in favor of something less physically demanding. After some contemplation, she decided to continue her studies in anthropology thanks to an interest in ethnomusicology and a relationship she had cultivated with a department assistant professor, Sylvia Nam. She was confident in her choices, but the first few months were still hard. She wasn’t able to drive at the time, so getting to UCI in itself was a challenge. 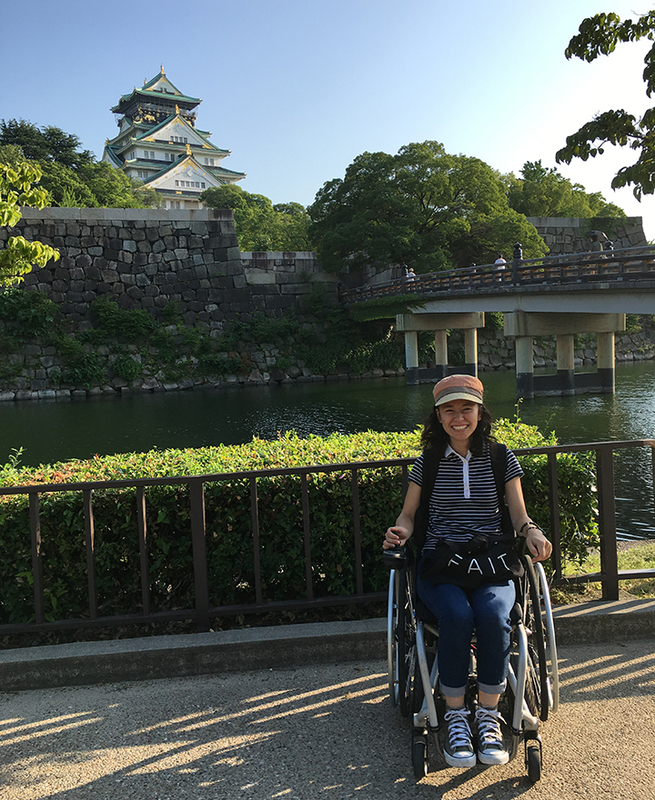 In addition, learning to get around campus with her wheelchair ­– while still coming to terms with her disability herself – made for a difficult first quarter. But all complications aside, Mahoney came to UCI with a purpose; to take advantage of as many opportunities as possible. So when she encountered the chance to study abroad during her first year, she didn’t even think twice. Along with that came the prospect of beginning her own research, so she set out to discover the perfect topic. And not long after, she found herself once again in Japan – the place where she had received her life-changing prognosis. But this time it was on her terms. Mahoney recognizes that specifically choosing to go to a college close to home, then immediately embarking on a study abroad trip 5,000 miles away, seems a bit counter-intuitive. But thanks to funding from UCI’s Undergraduate Research Opportunities Program Summer Undergraduate Research Program (UROP SURP) and the Benjamin A. Gilman International Scholarship and the fact that she has family in Japan (a grandmother, aunt, and brother), she couldn’t help taking the chance to go to Kyoto again. After visiting the town while on her medical trip, she knew she had to come back. The charm of the city, thanks to its mix of modern amenities with historical structures and traditions, really appealed to her. 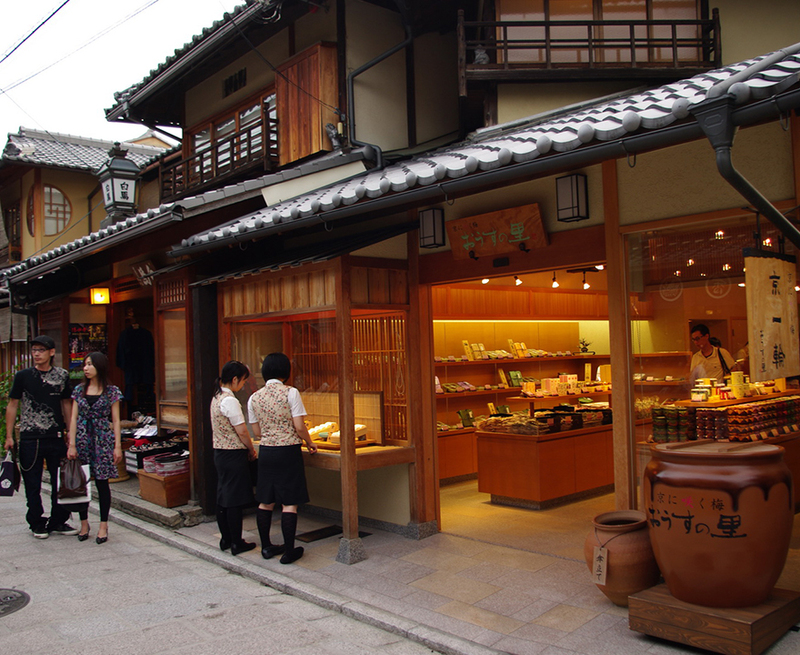 In particular, she found machiya – traditional, narrow Japanese townhouses made completely out of natural materials – quite interesting. She also recalled a specific conversation with an older man in Kyoto about the machiya. After telling him they were one of the things she liked best about the city, he scoffed at her, calling them old, dark, and unappealing. And thus, her research project was born. She read everything she could on the homes prior to her trip, and once she arrived in Kyoto she immediately began her field research. She interviewed café owners who had converted the machiya into quaint coffee shops and restaurants. She spoke to Japanese – young and old – to try to find the causes for such contrasting opinions. She read up on machiya history and the city’s plans for their future, and took photos of the homes around Kyoto. She was busy with her studies, but in the spirit of doing as much as she can while she can, she also managed to pick up quite a few hobbies in her free time. Given her passion for string instruments, she decided to take lessons in the traditional Japanese instrument, the shamisen. Her university was also very close to a centuries-old pottery house that specialized in traditional ware for tea ceremonies. She would spend hours there each week, making pottery with friends. And when she wasn’t playing or throwing clay, she made sure to try as much food as she could (“my friends and I were always eating!”). After returning from her semester abroad, she couldn’t help but look for another opportunity to go back to Japan and continue her research on machiya. And thanks to National Geographic Society and their Young Explorers grant (now called an Early Career Grant), she flew back last month to spend the summer at Kyoto University. Once she returns to UCI for the fall semester, Mahoney will be very close to completing her degree. But she isn’t putting pressure on herself to decide on a career path yet. After all, her new perspective is all about living in the moment and focusing on the task at hand. She’s considered some options though. Grad school isn’t off the table given how much she’s enjoyed her research. She also may extend her stay at UCI, perhaps finishing out the honors program or visiting another UC campus for a semester. It’s all possible, it just depends on what she feels like come decision time. Mahoney is only in her early twenties and has already experienced one of the most trying times in her life – and it’s still an ongoing journey. But where she could have faltered, she chose to forge on and gained some pretty helpful perspective in the process. And she’s proof that sometimes the best things in life come from letting the chips fall where they may. By the way — even though Mahoney’s doctors told her that her condition wouldn’t improve any more, she’s recently started to regain motor skills and strength at an impressive rate. But she’s not that surprised – it’s just more proof that good things will happen whether you plan for them or not.